A new review has suggested that marketers’ tactics to place things where we are more likely to pick them up could help motivate people to improve their diets. The review showed that manipulation of food product order or proximity can influence food choice and that healthy food nudging seems promising. Eighteen studies were included in the review. Sixteen of the studies showed nudging made a positive impact. “The review confirmed our expectation that there are very few scientific works available which deal with nudging healthier food choices by changes in the position of the food offers. We also corroborated that changing the organization of buffets, supermarkets and the other environments where people come across food can contribute to people eating more healthily,” said Federico J. A. Perez-Cueto from the University of Copenhagen, Denmark. Nudging or “choice architecture” refers to strategic changes in the environment that are anticipated to alter people’s behaviour in a predictable way, without forbidding any options or significantly changing their economic incentives. However, until now the scientific evidence of nudging towards healthier eating has been scarce. “The food service operators and the retail sector have been using the principles of nudging to push its products to the consumers e.g. placing specific products at adult’s eye level, while other products are left at children’s eye level. The question is whether we can also use this simple and low-cost method to move people’s food behaviour in a more healthy direction, or to facilitate the choice of healthier options” said Perez-Cueto. Other studies suggest that even a small move towards healthier eating has an impact on the health and life expectancy of a population. “Some can start by eating more vegetables. Some will go from zero to one portion a day, and it will contribute in the long run. Those are studies from the medical world that inspire the idea of small changes having impact in public health, so how can you translate that knowledge into practical food service? Based on the review we suggest that a way ahead contributing to achieve public health goals through the food service sector is e.g. by making changes in the placement of the products we want to promote, like vegetables by putting them first in line. Likewise, by making it a little bit more difficult to reach the products that should be consumed with moderation or that should be strictly limited like some products of animal origin or highly processed foods,” noted Perez-Cueto. 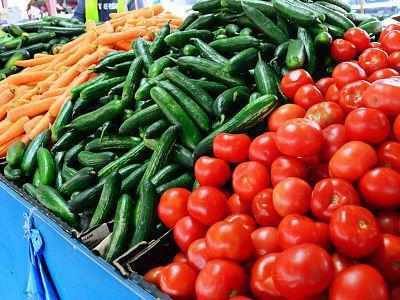 “If you want people to eat enough vegetables, it is not the only thing to do, there is need for policies, recommendations, voluntary agreements, information campaigns, but nudging can contribute, and we think the contribution can be substantial,” he added. The review also concluded that there is a need for high-quality studies that quantify the magnitude of positional effects on food choice in conjunction with measuring the impact on food intake, particularly in the longer term. Future studies should use outcome measures such as change in quantities of food consumed or energy intake to quantify the impact on dietary intake and the potential impact on nutrition-related health. The study appears in journal British Journal of Nutrition.